Rainforest world of wonders. 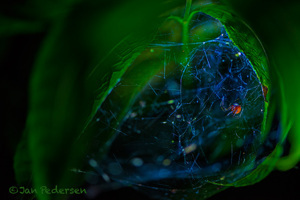 A small red spider is sitting in its booby trap web. From Yasuni National Park, Ecuador. The the most biodiverse hotspot on earth and threatened by the oil-industry.